​A research group from Chalmers University of Technology, Sweden, has made great, rapid strides towards the development of a specially designed molecule which can store solar energy for later use. These advances have been presented in four scientific articles this year, with the most recent being published in the highly ranked journal Energy & Environmental Science. Around a year ago, the research team presented a molecule that was capable of storing solar energy. The molecule, made from carbon, hydrogen and nitrogen, has the unique property that when it is hit by sunlight, it is transformed into an energy-rich isomer – a molecule which consists of the same atoms, but bound together in a different way. This isomer can then be stored for use when that energy is later needed – for example, at night or in winter. It is in a liquid form and is adapted for use in a solar energy system, which the researchers have named MOST (Molecular Solar Thermal Energy Storage). In just the last year, the research team have made great advances in the development of MOST. “The energy in this isomer can now be stored for up to 18 years. 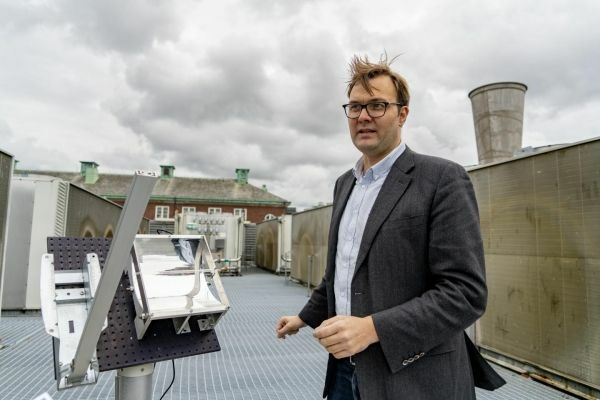 And when we come to extract the energy and use it, we get a warmth increase which is greater than we dared hope for,” says the leader of the research team, Kasper Moth-Poulsen, in Nano Materials Chemistry at Chalmers.